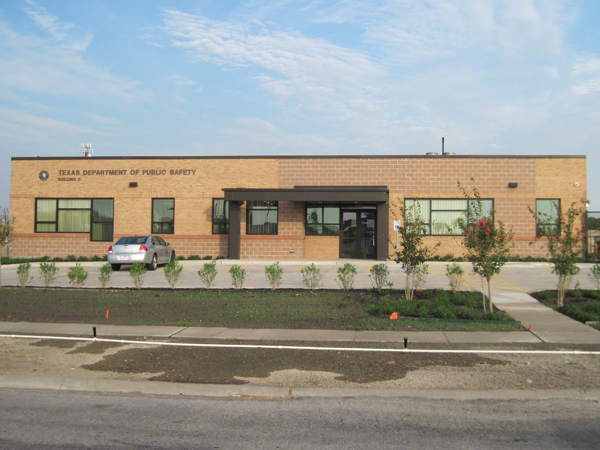 This 18,412 sf forensic laboratory consists of an indoor firing range, drug lab, serology lab, a bulk evidence vault, vehicle search area and administrative offices. The foundation consists of a soil supported slab with perimeter grade beams and principle column loads supported by drilled straight shaft piers and under-reams. A steel framing system was employed for the roof consisting of open web steel joists supported by steel wide flange beams spanning to tube steel columns. Light gage infill framing was then utilized to enclose the building.